The tea garden of Alishan Gaba green tea is in Ali Shan at an elevation of 1000m. Unlike the process of making normal green teas, this tea undergoes a special vacuum anaerobic fermentation for 10 hours before the process of panning. This allows the glutamic acid in the tea to convert into GABA (Gamma Aminobutyric Acid). The GABA quantity contained in this tea is 200mg~250mg / per 100g.The taste is unique. The actual process happens inside a chamber that has been flushed with nitrogen. This converts naturally occurring glutamic acid into GABA. GABA is a natural food preservative and also has the effect of inhibiting neurotransmitter action, the result being a relaxing effect on the human being. Since it has been “oxidized” using nitrogen, GABA green is technically not a green tea. 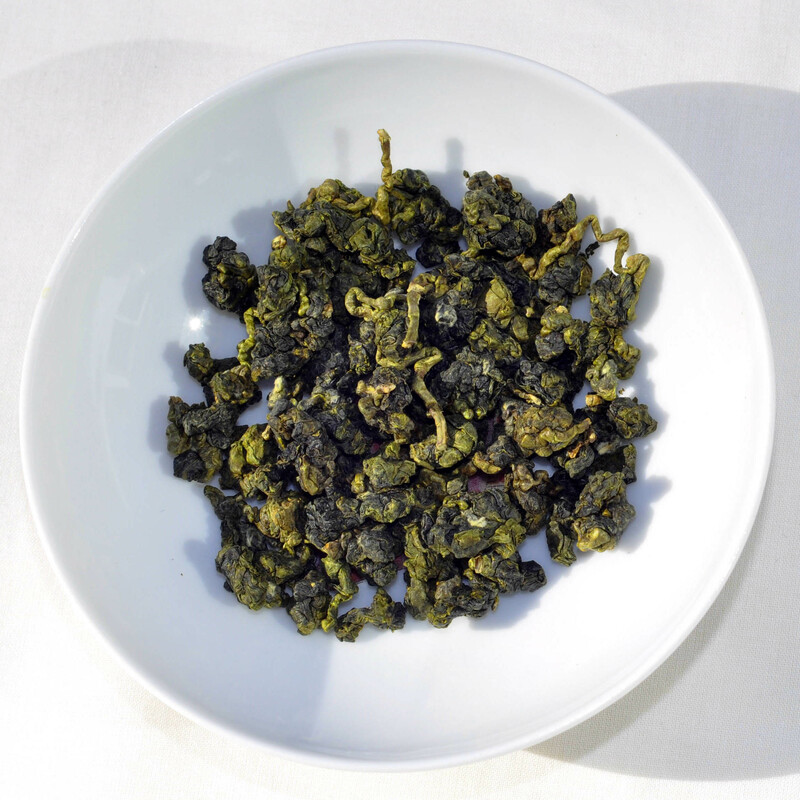 But the name ‘Green’ is used to differentiate it from the fully roasted GABA oolong. The leaves are hardy, like their cousin, Formosa High Elevation green tea, and it requires hot water for its flavours to develop. We recommend 200° or better and a full 5 minute brew time for all steepings.